Shakespeare comedy in English with line numbers and translated by Francois Pierre Guillaume Guizot (1787 - 1874), French historian, and statesman. Published in 1862. 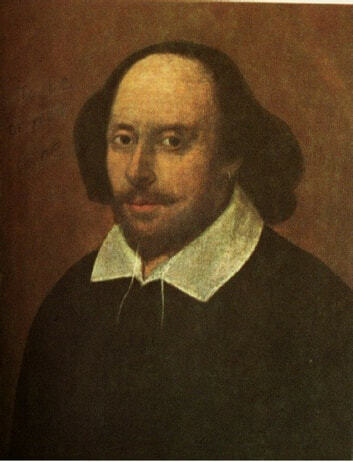 According to Wikipedia: "As You Like It is a pastoral comedy by William Shakespeare believed to have been written in 1599 or early 1600 and first published in the First Folio, 1623. The play's first performance is uncertain, though a performance at Wilton House in 1603 has been suggested as a possibility. As You Like It follows its heroine Rosalind as she flees persecution in her uncle's court, accompanied by her cousin Celia and Touchstone the court jester, to find safety and eventually love in the Forest of Arden. "